Daniella Garcia, Sergio Mejia and Daniel Ponce received the Innovator Award under 35, from MIT Technology Review. They created an educational technology center, an app and a platform. They know not only technology, but also dare to innovate. Daniella Garcia, Sergio Mejia and Daniel Ponce are three young thirtysomething Bolivians, creators of large enterprises that yesterday received the Innovator Award under 35, MIT Technology Review, a magazine specializing in technology from the Massachusetts Institute of Technology (USA). Daniella (32) is a systems engineer. She serves as director and founder of Elemental, an educational program to teach programming to children and youth. She says her company has a high social impact, because it prepares from small to future professionals, so that they are familiar with the use of new technologies when they enter the labor market. 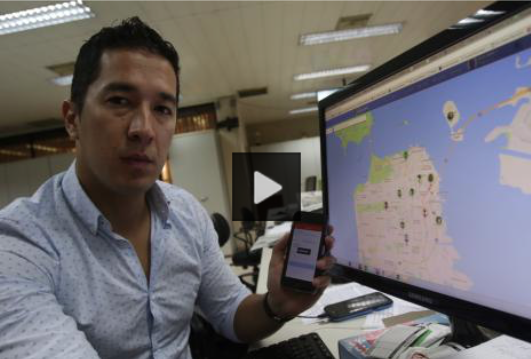 Sergio Mejia (33) is the creator of the app Shake4help, an application that works from 2013 and sends an emergency message to the user’s family or other contacts, you have just to shake the phone. It serves not only to cases of robberies, but also for other risk situations. The initiative is already being used in over 35 countries and has more than 7,000 downloads. While it is free, there is a payment model with more features. Daniel Ponce (30) Industrial and Systems Engineering, is founder of CityHeroes, a technology platform that helps businesses and public institutions to better manage their teams and individual field activities and establish a real-time communication with customers or citizens. “Within the company we have a lot of innovation culture. This award is a recognition of that effort,” said Daniel. The three Bolivians are part of a group of eight young innovators who were awarded yesterday by MIT Technology Review, at the Los Tajibos. The other five winners are Paraguayans. I welcome Daniella Garcia, Sergio Mejia and Daniel Ponce to The Hall of Bolivian Fame! This entry was posted in Bolivia, Business, Economics and tagged competitiveness, software development. Bookmark the permalink.